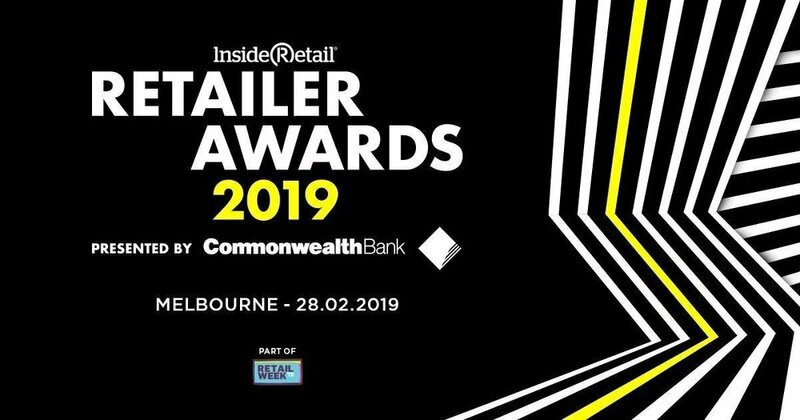 Retail Week in Melbourne was a great experience – going on a tour of new concept stores, meeting with top eCommerce disruptors and attending Inside Retail’s Retailer Awards gala. There are so many smart people and companies doing clever things to be more customer-focused, personal, sustainable and ethical. It was an inspiring trip. Hearing Triquestra’s name called out at the Retailer Awards was thrilling. We were in amazing company and I was very proud that our unified commerce platform and talented people were recognised for helping our clients’ retail businesses excel. Shane is CIO of Cue Clothing Co and he nominated us for Retail Supplier of the Year so a big thank you goes to him. So does a big congratulations because during the week he was named #4 in Internet Retailing’s Top 50 People in E-Commerce 2019. His ‘buy anywhere, fulfil anywhere’ strategy – backed by Infinity – has seen Cue significantly grow its online sales. You can read more about Cue’s work with Infinity in our latest case study. During my retail tour I saw some impressive stores which are offering interesting customer experiences that combine physical retail with consumer desire for provenance and purpose. LiTMUS Lab takes advantage of the fact that customers want to try and experience the innovative products they sell before buying. They hold no stock on site, but let shoppers experience the products and store staff knowledge before buying online - either in-store or after leaving the store. All sales are processed as orders that are typically drop shipped directly from the supplier. Their model requires less rental space while reducing inventory cost. I visited Australia’s first TOMS shoe store, opened by Retail Prodigy Group. TOMS has a powerful business model that addresses need and advances health, education and economic opportunity for children and communities around the world. In the Melbourne store, you see this commitment in action. In addition to helping a person in need with every purchase, you can buy a $2 coffee when you make a purchase and those coffee beans are supplied from another social enterprise. It’s a feel good, tasty, boutique experience with purpose. First Principles is made-to-measure denim with a difference. They build a pattern for you in their boutique where you can see samples, then you’re in control of choosing fabrics and embellishments online where you can order new jeans whenever you want. They source denim in Japan – from one of the world’s longest-running mills and use factories in Kenya where they know every person who makes their product. It’s a great personalisation story from beginning to end, including a commitment to fix any issues. I hope it proves to be sustainable. If you’d like to know more about any of the stores I visited or want to discuss these retail trends in relation to your own business, please get in contact. Click-and-collect is changing the way consumers shop and interact with retailers. With a click-and-collect strategy, you can provide near instant gratification: customers order and pay for items online, then collect them in store, merging the in-store experience with online convenience. There is growing competition from big brand and overseas competitors, such as Amazon, who are able to offer free delivery on minimum spends and relatively short delivery times. To maintain your competitive advantage, you want to respond with a mutually beneficial online sales strategy, like click-and-collect. Click-and-collect secures the sale and even increases sales. According to the International Council of Shopping Centres, over 60% of shoppers who use click-and-collect services go on to purchase additional goods when collecting their items. Click-and-collect also minimises returns, as customers are able to try on goods before they finalise their purchase. With click-and-collect, customers are not charged delivery fees and can avoid the delivery-card-in-the-mailbox scenario. Additionally, customers are not risking a trip to the store, only to find the items they want are out of stock. And items can be collected when it’s convenient for the customer – often within hours of placing an order – providing an immediacy that delivery cannot meet. Better still, if the item is not suitable, any issues can be resolved before the customer leaves the store. For click-and-collect to be effective, you want to make sure all your systems are working together to offer customers an easy, reliable and seamless experience. Make sure that your mobile site and app are up-to-date and give consumers access to all your inventory wherever they are. Highlight items available for click-and-collect prior to checkout. Also given that a click-and-collect strategy is a shift towards customer convenience – with less emphasis on price – consider offering free click-and-collect. Consider a time commitment that you can stick to. For instance, tell customers they can pick up their order on the same day until you can be confident in your processes, and then aim for 30 minutes. Send text message alerts to customers to let them know the status of their order and more importantly, when it is ready for collection. You’ll keep the customer up-to-date on their order and get them into the store at the right time. When customers do come to collect their goods, items should be ready. You may also want to consider dedicated pick up points in-store or alternative collection points. Customers should have the option to change their mind before leaving the store and be able to return click-and-collect items in-store. Fulfil orders from your stores to get items to customers faster and save on delivery costs. With the right technology in place, you can be sure of great customer experiences as well. For example, you can set up your system to alert head office if an online order goes to a store and that order isn’t acknowledged by the store and ready to be picked up by the customer within a certain timeframe. Head office can then contact the store to prompt staff. These kind of alerts lead to a robust, timely process that keeps customers happy. To help in-store staff see the benefit of online sales, create remuneration strategies that reward store staff who are picking and packing the items for online orders. A unified commerce platform can offer sales attribution reporting in addition to reporting on sales channel effectiveness. In short, to remain competitive you need to give your customers options. Offering click-and-collect is one option and makes you different to those retailers offering online shopping only. Click-and-collect will encourage more customers into your stores, giving you shorter sale times, alternative ways to interact and further opportunities to upsell. If you’d like help with your click-and-collect strategy and unifying your customers’ experience, contact us. Mike Baxter, head of Infinity product, shares his thoughts on using APIs for retail so you can get new products and services to market faster and improve customer experience. In this first video, Mike discusses the advantages of microservices for APIs and why this design pattern isn’t the only one to consider when you want to innovate quickly.